WHAT IS THE MUKTII PROJECT? We are a unique charity group who have been working to fight poverty in Bangladesh for over 18 years. By using extremely cost effective methods we have been able to make a difference to thousands of people’s lives. 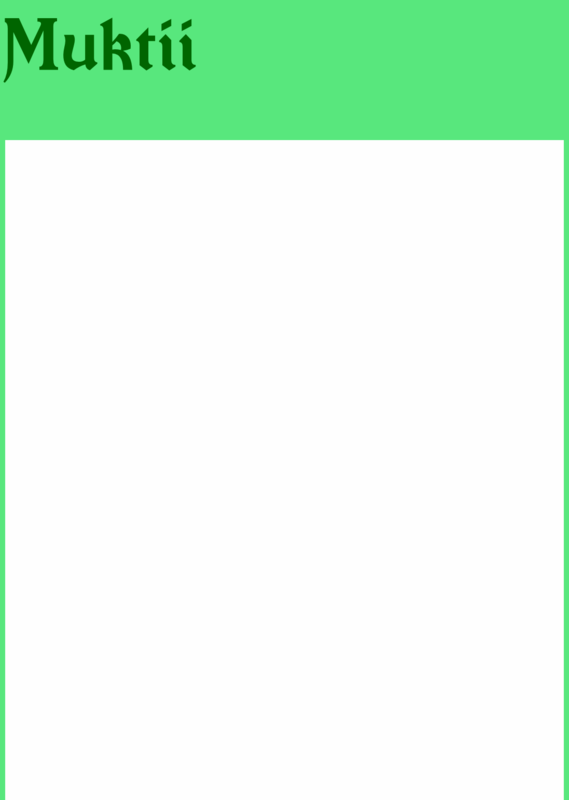 This site is dedicated to showing people how they can use the the advantages of the Muktii system to help in the fight against poverty. 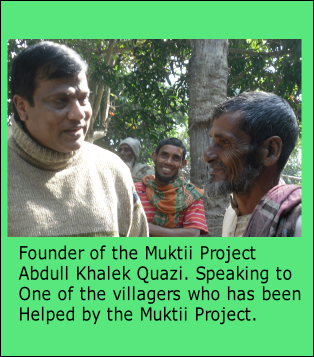 Find out more at What is the Muktii Project? IS YOUR CHARITY MONEY PUT TO GOOD USE? When you donate money to the poor, how much of it actually goes to the poor? In many cases, a charity has to spend as much as $90 to make $100, This means that for every dollar that you donate; only one tenth of it may actually reach the poor. Many charities do invaluable work for poverty aid, However the boom in the number of Non-Government Organisations offering small business loans to the poor has caused more harm than good. The massive amount of interest on these loans makes it impossible for people to make profit. 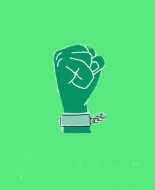 Many are in the same position or even worse off. 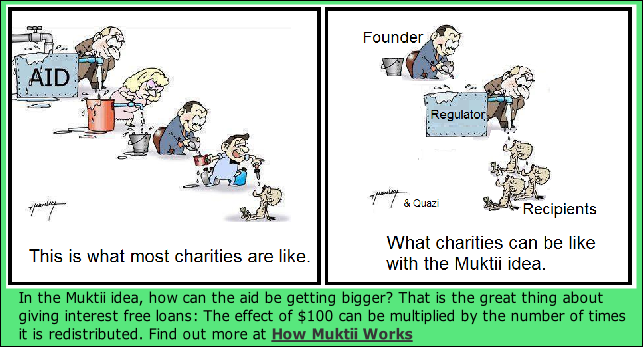 Here at the Muktii Project we are showing you can help the poor in a very effective way. We provide in-depth detail into how you can set up your own project to help the poor and how it is much easier than you may think.